AHS is a community teeming with diversity especially in its variety of clubs. While AHS services many clubs such as Red Cross, Model UN, NHS, and Mock Trial, one club bound to stand out is the Yo-Yo Club. Max Galat, the senior who established the club, holds his meetings every Thursday in Mrs. Chacchus’ room where students learn how to Yo-Yo. Do not be fooled, this is not the kind of yo-yoing you did as a kid. This kind of yo-yoing involves intricate movements and meticulous weaving. 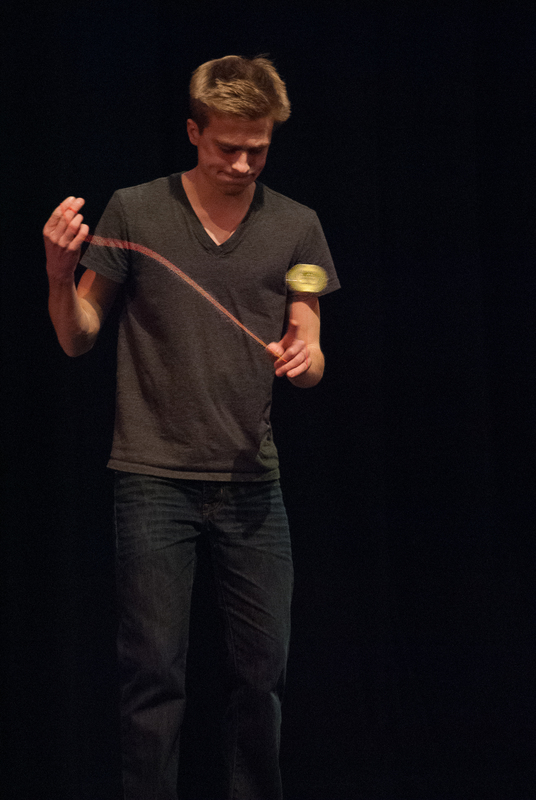 Max Galat has showcased his adept dexterity and skill with the yo-yo on many occasions both in public and at events such as Mr. AHS. In an interview with Max, I was able to gain more perspective on his inspirations and goals with yo-yoing. How long have you yo-yoed for? For about 3 years now. How did you come to find out about Yo-Yoing? I saw a video of a professional yo-yo-er and thought it was awesome so I pursued it further. How is your yo-yoing different than the type we did as kids? I use what’s called an unresponsive yo-yo, so it doesn’t come back to my hand immediately and it also has a bearing on it which allows it to spin for quite a long time. My tricks are a lot more complicated than common yo-yoing. What was your inspiration to teach other people how to yo-yo? Whenever I yo-yo, people always say stuff like “That’s awesome” or “I wish I could do that” but no one has ever actually learned it. I guess it seems really intimidating to learn something, so I decided that it would probably help if I made learning seem less intimidating. Yo-yo club is essentially my way of trying to get people to overcome their fear of learning to yo-yo. Have you ever entered any competitions? This is the first year that I’ve started developing my own tricks that I can use in freestyle for competition, so I’m going to start competing this spring. Yo-yo club is pretty rad. How much was your first legit yo-yo? My first kind of legit yo-yo was $25 but it sucked pretty badly. It wasn’t that legit. Then I bought one for $108 and that one was sick. The one that I use now costs $80. Yo-yoing is clearly more than just an easy parlor trick. It is an activity that requires dedication, coordination, and guidance. If interested, go learn yo-yoing at yo-yo club on Thursdays in room 351.